Fergal did our wedding photos for our wedding in July 2018. From the beginning Fergal was so helpful advising us and giving us tips on how to get the best and most beautiful wedding pictures. Very friendly, calming and professional and you made our day even more special. Thanks so much for everything. 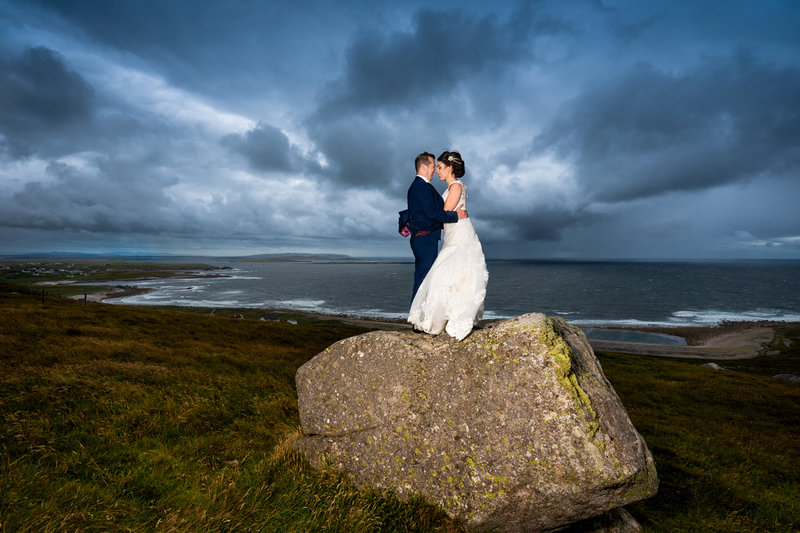 We would highly recommend Fergal for any wedding as he truly can capture scenery and settings so beautifully. Fergal is a gentlemen! From the very first email I sent to Fergal from Australia I knew we were in good hands! Nothing was any bother to this cool & calm guy! He had the whole wedding party smiling! Couldn’t fault him one bit just keep doing what your doing because your fantastic! It has been an absolute pleasure to work with Fergal! My husband and I live in the States and picked Fergal as our photographer for our wedding in Buncrana, Donegal. Leading up to the wedding Fergal went above and beyond to make us feel assured that the pictures will be fantastic! Fergal was easy to contact, quick to respond, and gave professional advice for our wedding photos. He was flexible to meet with us when we traveled back to Donegal for a short time before our wedding. Fergal spent the day with us looking at different locations, scoping out the perfect angle for photos, finding convenient ways to travel, and suggesting certain tips/angles for our pictures. When it came to our big day, Fergal made everyone feel at ease and captured the most amazing photos! Through the pouring rain and on the edge of a mountain, Fergal was able to catch flawless pictures of us. His unique style and passion for photography really shows in his work! He truly made our wedding day so special!!! Fergal is one of kind and we would highly recommend him! Thank you Fergal for a fantastic experience from start to finish. From the day we first visited your studio right up to the delivery of our beautifully – packaged wedding photos only three weeks after the big day, it has been a wonderfully easy, calm and fun experience to have you take care of this very important part of our wedding. You were so professional and we could really relax and enjoy the day. The quality of the images and the slideshow is very impressive. We love all of them. We really can’t recommend your service highly enough. Thank you for capturing all the unforgettable moments of our day.